Alastair’s quest for adventure began young. Aged 8, he completed the 26 mile Yorkshire 3 Peaks challenge and the National 3 Peaks in 24 hours aged 13. At 14 he cycled off-road across England. After leaving school Alastair taught for a year in South Africa. Whilst at university (Edinburgh and Oxford) Alastair cycled from Pakistan to China, Land’s End to John O’Groats, Turkey to Italy, Mexico to Panama and across South America. He ran a charity project in the Philippines and the London marathon dressed as a rhino. Since graduating Alastair has cycled round the world for 4 years, raced a yacht across the Atlantic Ocean, canoed 500 miles down the Yukon River and walked the length of the holy Kaveri river in India. Alastair has also run the Marathon Des Sables, (finishing as one of the ten fastest Brits despite breaking his foot during the race) and rowed to France with a paralysed soldier. In 2010 he completed an unsupported crossing of Iceland by foot and pack raft. In 2011 Alastair decided to remain in the UK to promote his award winning concept of microadventures - short, adventurous journeys close to home- encourage people to take practical steps to challenge themselves by undertaking adventures of their own and improving their physical health, mental well-being, and all-important work/life balance. 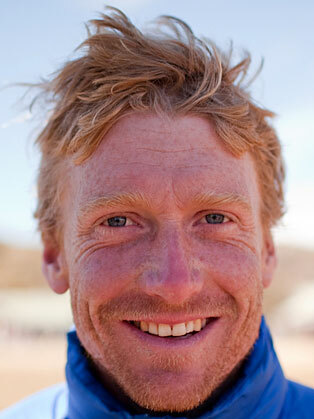 In 2012 Alastair rowed across the Atlantic Ocean, did an expedition in Greenland and walked across the Empty Quarter desert. In 2013, Humphreys released his first documentary film, Into the Empty Quarter. The film premiered at the Royal Geographic Society London, in November 2013. In 2016 Alastair attempted to busk across Spain in the footsteps of his literary heroes. Alistair has published nine books and is a keen photographer and videographer.